Craig Breen was back on the winners' list in Italy. 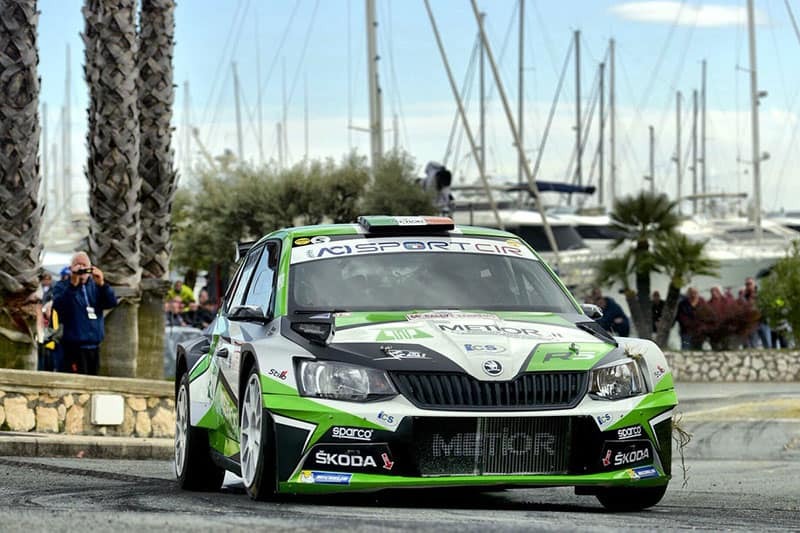 Irish driver Craig Breen (Skoda Fabia R5) snatched a last-stage victory on the Italian championship Sanremo Rally. The former Citroen WRC driver finished 4.3 seconds in front of Fiesta driver Simone Campedelli, who had led most of the way! Campedelli started the last, 34km long final stage 11 seconds in front of Breen, with no obvious ideal tyre choices for a stage which started dry then turned wet, with stretches of fog. Breen had a foretaste of unexpected conditions before the rally. “Little did we think the West Cork Rally would be good practice for a rally in Italy, but it was raining at shakedown and we were quickest on it,” he said. This was the second round of Italy’s premier CIR championship, which is led by Giandomenico Basso (25 points) ahead of Campedelli (24), Breen (23) and Luca Rossetti (Citroen C3, 18).